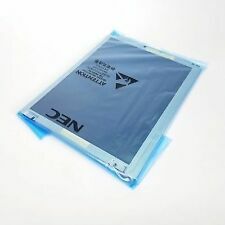 NEC ELECTRONE DEVICE BACKLIGHT KIT. LOT OF 2 PIECES NEW. Screen :HP Spectre x360 13-4120ca Silver Complete LCD Touchscreen Assembly 828822-001 Size : 13.3" Resolution : LCD screen display Condition : Direct from manufacture 100% COMPATIBLE HP Model: 801495-001 4103dx 4118nr 4005DX Replacement Screen Display ( touch glass ) Maximum Resolution: 1920*1080 LCD Screen used on this laptop model could be from different manufacturers. For most of models, the lcd screens are compatible with each other. By purchasing a compatible screen, we are able to offer you the lowest price product. Please match your original screen's BACKLIGHT TYPE, SIZE and RESOLUTION before you make the purchase. (Some laptop models come with more than one type of screens.) Backlight Lamp :touch glass Product Type : Complete Screen Assembly. Manufacturer: NEC. We appreciate your understanding. This is included in our S&H. Combining Orders. back to top. Like new condition! Model: NEC NL8060BC 31-28D. Like new condition! Model: NEC NL6448BC33-54. Make Supersized Seem Small. Get Images that. Like new condition! Model: NEC NL6448BC33-59. 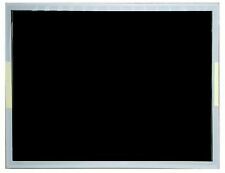 NEC NL6448BC33-53 TFT LCD Screen. What’s Included: 1x - NEC NL6448BC33-53. Units have been tested for power and screen quality/issues. Display Size Display Orientation Display Appearance Display Brightness. CONDITION: LCD Panel was removed from fully working all in one computer. The Panel is in Very Good Condition. Touch screen glass has no scratches. Inverter and cables included as pictured. Data Cable may not work for you system but its included. The panel is in ok Condition. Touch screen glass has a small mark visible in the photos. Inverter and cables included as pictured. Data Cable may not work for you system but its included. LCD PANEL DETAILS. New Lot of 2 NEC 12.1" Backlight assembly 121LHS18 Dual CCFL. Sold as a lot of 2 units. Each unit is New. NL8060BC31-27 LCD panel. But they will fit other 12.1" NEC LCD panels as well. We also have these in lots of 10, 4, and single units if you need different quantities. Like new condition! Model:NEC NL8060BC31-27. This is a used NEC LCD Screen -- NL6448AC33-29 --. NEC LaVie LL750/A LL750AS1YR Keyboard PK130E11H00 (English & "Maybe": Japanese). This includes stating the item sold at a lower value, that the item is not usable, or is a gift. NEC Versa V50. 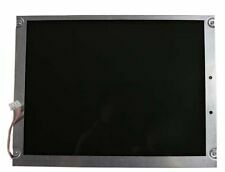 You are purchasing a used NEC Versa screen bezel. It is in good condition with no major scuffs or cracks. NEC Versa V/50. Unless otherwise stated, this has been tested for key functionality. We are otherwise not open to the public. This was removed from a fully working laptop. Does not include any other hardware or cables. Picture is the Actual Item. The keyboard layout (QWERTY) will be fully exact as picture. You can compare your keyboard with our picture to make sure the compatibility. All NEC Systems and parts. We stand behind our products. We will work to resolve any problems. We have the lowest possible prices.Before you buy give us a try. Sales, Service and Installation for. Give us a try before you buy. Resolution1024(H) x 768(V) pixels. Drive systema-Si TFT active-matrix. 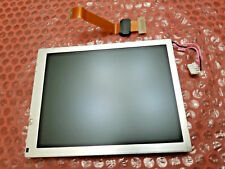 LCD Panel Only as pictured and described. Display area304.128(H) x 228.096(V) mm. Display color16.77M colors. DATA Cable connector20-Pins. Drive systema-Si TFT active-matrix. LCD Panel was removed from fully working all in one computer. The Panel is in Very Good Condition. Screen has no scratches. Inverter included as pictured. LCD Panel and inverter as described and pictured. 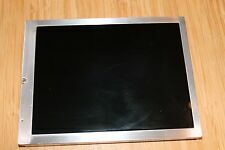 NLT (NEC) 15" NL10276BC30-33D Industrial LCD Display Screen…. I will try to describe everything to the best of my knowledge. What you see on the pictures is what you will receive, no more, no less. THIS ITEM USED AND TESTED, SOLD AS IS . All this information is to protect you and us from filing. 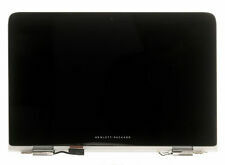 • (1) - NEW NEC NL10276BC30-33D 15" TFT LCD PANEL DISPLAY 1024 768 60HZ RGB A20A932330034. • (1) - NEC 150PW 150PW POWER INVERTER BOARD. (Signal Interface: LVDS (1 ch, 6/8-bit). Frequency: 60Hz. Viewing Angle: 80/80/80/80 (Typ.). 10) (L/R/U/D). COMPATIBILITY ISSUE. Model Number: NLB150XG01L-01. Resolution: 1024(RGB)×768 (XGA). Panel Size: 15.0". 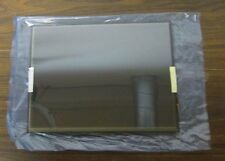 NEC NL10276BC30-17 15" TFT LCD Display Panel USA SELER FREE SHIPPING ! !